There's not a single new Android Wear smartwatch on show in Barcelona at MWC 2016. At CES last month, there was just a solitary new one being shown off by Casio. So what's happened? Has the industry entirely given up on Google's smartwatch OS already? Not a jot - we're simply in a transition period. Manufacturers who initially raced to the Android Wear market are now prepared to take stock, analyse what users want from a smartwatch experience and wait for the hardware and software to catch up. Luckily, on the latter point, we won't have to wait too long. Google is clearly putting a lot of effort into evolving Android Wear; three major updates have already landed for the platform - each one bringing a barrage of useful features to the OS. Qualcomm is already readying its first dedicated wearable chip - the Snapdragon Wear 2100. Whereas the likes of the Moto 360, the Huawei Watch and the Asus ZenWatch 2 were powered by a processor that was designed to run smartphones, the next wave of Android Wear devices will come packing a much smaller, dedicated, chip; one that is capable of always-on connectivity, with low power usage for long battery life. The San Diego silicone giant informs us that numerous wearable devices powered by the Wear 2100 are already in development, and that we should see the first wave of new smartwatches landing in the second half of 2016. So it makes perfect sense for the likes of Sony, Samsung, HTC and the rest to wait. Why bring a smartwatch to market now, with ageing architecture - albeit in a shiny new chassis - when the possibilities with both hardware and software are likely to be far advanced in just a few months? Apple raised expectations and attention on the fledgling smartwatch market but it's crucial to remember it's just that - fledgling. It's very much a tech genre still finding its feet with even keen early-adopters - me included - still unsure exactly what they need from a smartwatch. And we should count ourselves lucky that Google is operating a much stricter door policy for Wear than it ever has for Android. I can remember walking through hall after hall at MWC of years gone by and being bombarded by a ridiculous amount of crap Android tablets. Any brand could slap a version of Google's mobile OS behind a touchscreen and get in that game. 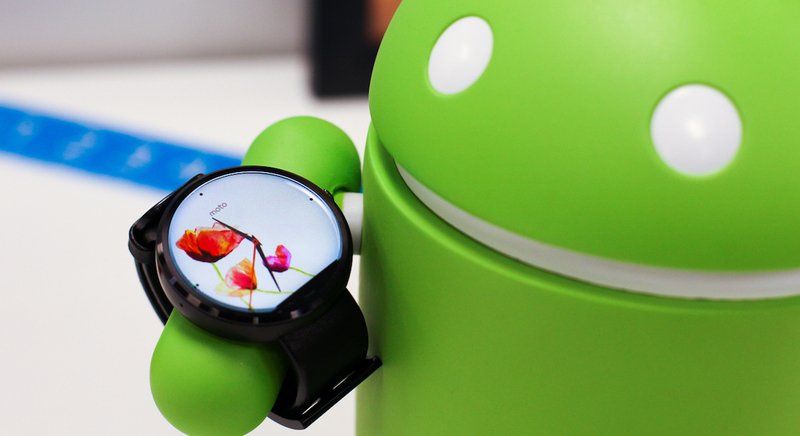 We're fortunate that Google is being much more picky with who it lets into the Android Wear club. Sure, it might stifle innovation a touch - and Google's smartwatch OS is very much a vanilla experience across all current devices - but it keeps the platform clean and prevents early adopters from being put off of smartwatches entirely after being frustrated by a crappy product. So, while it's a shame there aren't any new Wear devices for us to get our mitts on over in Barcelona, the long game is far more important.